Low Calorie Smoothie Recipes That You'll Love! Low calorie smoothie recipes are easy to make for weight loss, especially when made at home. You know exactly what is in your smoothie. These are the top 5 tips to create your own low calorie smoothie recipes. Come across any good smoothie recipes. Help others lose weight with smoothies by sending it to me. I would love to try it! Many recipes call for juice or milk. 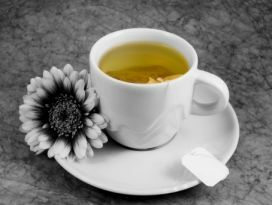 Using water or tea instead of juice or milk is a great way to easily cut out over 100 calories. Bottled juice bought off of the self really doesn’t have much nutritional value to add to your smoothie, just calories. Granted... It does add extra sweetness. But I recommend using the whole fruit to get a great tasting smoothie. Is fruit juice as good as the whole fruit? Look at a whole peeled orange and orange juice. The nutrients in the white walls of the orange contain important nutrients. One of those nutrients in the pith is called flavonoids. 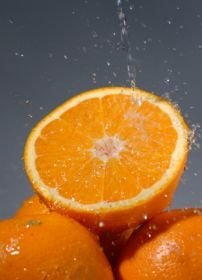 These flavonoids work in harmony with vitamin C in the orange to aid the body. When we drink orange juice, we do not get the flavonoids and other essential vitamins and minerals to synergistically work together. Plus, you would be greatly surprised on what ingredients are actually listed on juice bottles. There is sugar, high fructose Corn Syrup, concentrate, preservatives, dyes, etc. Look and see where the actual fruit is listed. Save yourself from the extra calories and the wasted money by just using the whole fruit fresh or frozen. Using tea in your low calorie smoothie recipes is a great way to get extra medicinal benefit and flavor from an herb. Different teas that would make a great addition are cinnamon, chaga mushroom, plantain leaves, raspberry leaves, alfalfa, etc. Check out how to make an awesome cup of tea. Make a big batch of tea, 1-2 quarts, and store in the fridge. It will stay good for 3-5 days. Use in place of water in your smoothies. What fruit makes great low calorie smoothie recipes? Most fruits are actually very low in calories. It is when you start adding dried and juiced fruit when the calories start to add up. Some fruit with the lowest amount of calories are apricots, lemons, watermelon, strawberries, apples, papayas, cantaloupe, plums, honeydew, blackberries, raspberries, blueberries, pineapple, etc. This is just to name a few. You can use pretty much any fresh fruit and the calories will stay in a good range. Exceptions are avocados and other fatty fruits. It is when you add the sugar, juice, and milk to smoothies is when the calories add up and change the low calorie smoothie recipes in high calorie drinks. Why add more calories by adding greens? Yes, you are adding some calories. One cup of spinach contains 7 calories! That is like licking the back of a postage stamp! 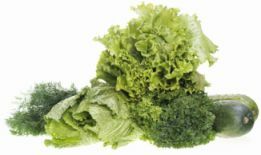 By adding leafy greens into your low calorie smoothie recipes, you are adding valuable phytonutrients and fiber that will satisfy your body’s cravings. That way you are not digging in the pantry for those Twinkies that you hid for a special mid-day or mid-night snack. I have lost over 45 pounds by drinking green smoothies. Many others have also seen the benefits of green smoothies. I remember when I added greens into my smoothie for the first time. I am so glad that I made that concise decision. I have never looked back since. You would be extremely surprised how delicious a green smoothie will taste. Just go and try it. Do you think that your smoothies need to be extremely sweet? I used too. Now, I enjoy the harmony of flavors that naturally comes from fruit. If you are not quite ready to go with just the fruit, add stevia or dried fruit. Be careful on how much dried fruit you use. Dried fruit is a condensed version of the fresh version. It is easier to add up on more calories. If you want a sweetener smoothie with no calories, use stevia. Stevia contains no calories and doesn't have the side effects that artificial sweeteners give. 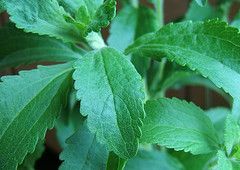 It comes from the leaves of the stevia plant. I prefer to buy the flavored stevia drops at iherb.com. My favorite is the berry. Just by using stevia instead of fruit flavored syrup or sweetened fruit, you not only flee the danger of sugar you can also easily eliminate up to 200 empty calories from your smoothie. Wow! Okay... I know it was a long stretch to suggest greens, but beans! 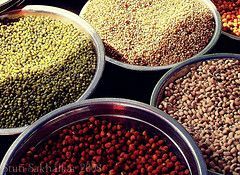 Beans are packed full of protein and fiber! The high protein and fiber content makes them low on the glycemic index. It will help your body not to get a spike in your blood glucose levels from the smoothie. This is important for anyone with or concerned about diabetes. Stabilizing your blood sugars is extremely important if you want to lose weight! So add those beans and shed those pounds. My favorite beans are adzuki, garbanzo, and black beans. To avoid the intestinal gas, soak the beans overnight and cook them with fresh water. They need to be fully cooked and rinsed before adding to the smoothie. You can also take some enzymes prior to consuming the beans to help with the digestion. Want to try some beans in your smoothies? Here are some different ways to make chocolate smoothies with beans. You are now equipped with five tips to make your own low calorie smoothie recipes. Try these five tips out. Make a variety of these weight loss smoothies for a meal every day for a month. If you're interested... 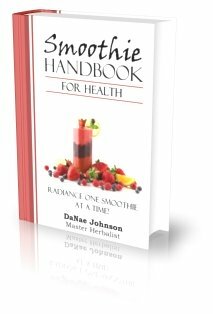 I collected 135 taste-tested smoothie recipes and calculated the calories and other nutrient info on each recipe in my ebook Smoothie Handbook for Health. Share your success and experiences to help others that are searching to become healthier. If you are looking for some more simple ways to lose weight, check out this informative website that covers easy weight loss tips.